In 2016, as part of the larger Phillips Collective Purpose Built model, UNI opened the Kansas City Neighborhood Academy (KCNA). KCNA is a neighborhood school for neighborhood children with a strong emphasis on literacy and Project Based Learning. 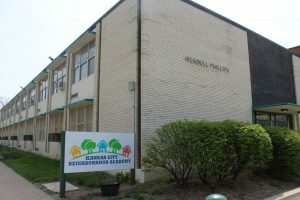 The school has a STEAM (science, technology, engineering, arts, and mathematics) theme and offers both a Literacy Center and a Mathematics Center to accelerate students’ proficiencies. The charter school is sponsored by Kansas City Public Schools and governed by its own board of directors. KCNA is located at 1619 East 24th Terrace.